Many people love the sleek artistic design of our ethanol tabletop fireplaces, but question the safety of them. Bio ethanol fireplaces are in fact very safe and virtually maintenance free. With no cleaning of soot or ash, which can cause build-up in the chimney of a traditional fireplace, you are increasing the safety of your home and decreasing the risk of fire or injury. 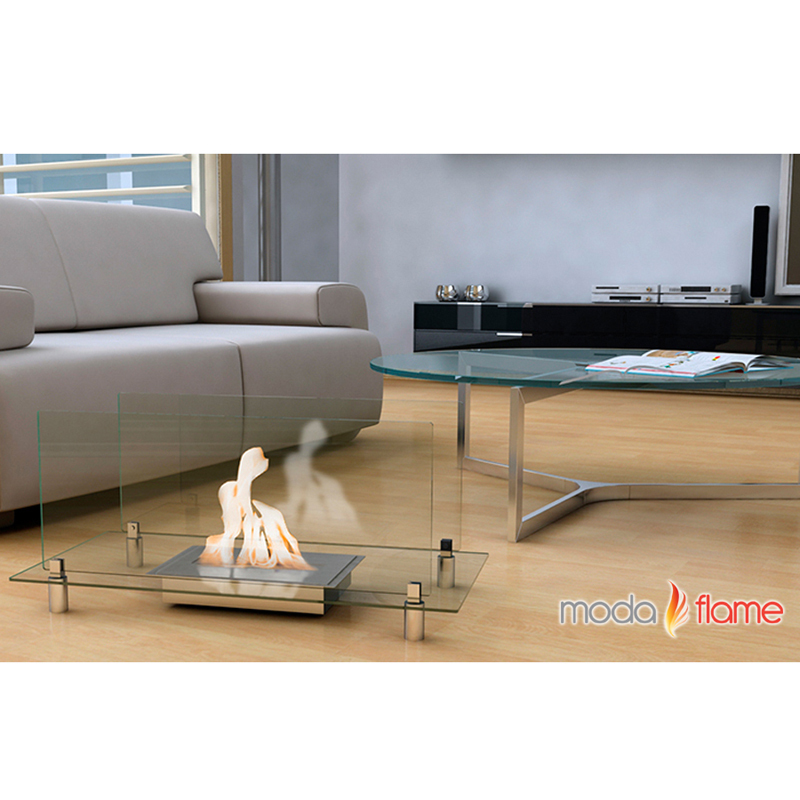 Ethanol fireplaces burn without releasing any fumes or smoke than can be harmful to ingest. The fuel is completely ventless and environmentally friendly consisting of a renewable energy source made from corn, potatoes, rice and milk, just to name a few ingredients. More information about ethanol fireplaces and ethanol fireplace safety can be found on about ethanol fireplaces page.